In a Nutshell: Small business owners know their life’s work is anything but small. Even the smallest of startups require countless hours of work each week to progress and spur the growth needed to maintain an upward trajectory. Aside from the hours, small businesses also need regular access to capital, which is traditionally hard to find through banks unless the business has a long, successful track record. Since 2013, the Fundera lending marketplace has helped more than 10,000 SMB owners access over $750 million in business loans. Business owners need only to complete a single application, which Fundera shops to dozens of approved lenders in its network. Fundera assigns each applicant a dedicated loan specialist who works to help the business owner sift through the many financial products Fundera offers to find the best offers for the age and needs of the business. There are many reasons for wanting to own your own business. Whether you’re tired of the 9-to-5 rat race, or just want to build something you can call your own, entrepreneurship is a rewarding experience that requires patience and bravery — and money. While many entrepreneurs may easily check off the first two boxes, the third requirement can be a hurdle that’s hard to clear. Every business needs working capital, but without a long history of success, many banks won’t consider a business loan application. This issue led to the creation of Fundera, an online lending marketplace that connects small business owners to lenders that help SMB owners access capital and grow their operations. 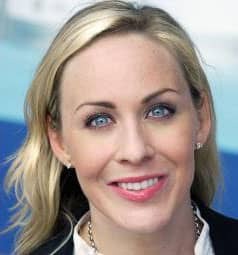 Meredith Wood is the Vice President of Content at Fundera. The process of applying for a loan starts when potential borrowers fill out a brief questionnaire that doesn’t affect the applicant’s credit score and gives Fundera a better idea of which financial products will work best for them. Applicants can expect to supply answers to basic questions, such as the business’ annual revenue, time in business, and the industry it’s in. Fundera forwards the information to a dedicated loan specialist who works with the applicant through the entire process. Wood said the expert’s personalized touch is one of the many qualities that sets Fundera apart from its competition. As with most financial service providers, Fundera doesn’t offer a one-size-fits-all loan. The company knows that every business has unique needs and works to connect each applicant to a lender that shares that understanding. Options include SBA Loans, backed by the US Small Business Administration, which helps small business owners by guaranteeing up to 85% of the loan, which can range from $5,000 to $5 million. SBA Loans have terms from five to 25 years and interest rates that start at 6.75%. Due to the government-backed nature of these loans, gaining approval requires a greater amount of paperwork than for traditional loan products, and most loans take a minimum of three weeks to complete. On the plus side, the loans feature the lowest down payment requirement and the longest repayment terms on the market. If you don’t need a six-figure loan, or you can pay off whatever loan you do receive in five years or less, Fundera has multiple options that require less paperwork and time to complete an application. One of Fundera’s most popular options is its short-term lines of credit. A line of credit differs from a traditional loan because, with a line of credit, you’re approved for a set amount of money but you can take out only what you need. Borrowers can withdraw funds slowly over time instead of having them disbursed in one lump sum and must repay only what they withdraw from the credit line. Fundera’s approved lenders offer business lines of credit with repayment terms that range from six months to five years and loans that start at a few hundred dollars with interest rates that start around 7%, depending on the lender. “Business owners are understanding the importance of having credit on-hand if needed for an emergency, even if there isn’t an immediate use case in sight,” Wood said. 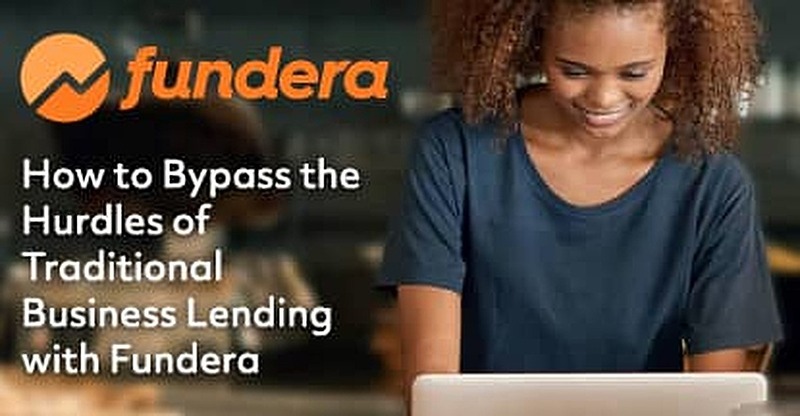 With an array of financial products available from dozens of approved lenders, many businesses that may otherwise struggle to acquire financing through traditional banks have found success through the Fundera platform. Every business will eventually find itself in need of a capital injection to spur growth or fund an unexpected emergency. While many banks only approve loans for businesses with a long history of success, Fundera’s approved lenders look at more than just the business’s vital signs. Wood says that catches many business owners off guard because many don’t realize how their personal credit score can help — or potentially hurt — their business’s funding. Fundera helps business owners on their path toward personal and professional success with its Fundera Ledger blog. Daily updates on the blog, which Wood manages, include tips and tricks that business owners can use to grow their business and look more appealing to potential lenders. Shopping for the right method of financing for your business can be confusing and frustrating. Each of the many options available across the internet has different requirements and lending standards a business should thoroughly research before applying. As with any loan product, submitting too many applications can result in multiple hard inquiries on your credit report that only work to bring your credit score down. Through Fundera’s lending marketplace, applicants complete only one application and the platform shops it to dozens of lenders. If an application results in multiple pre-approvals, the applicant can choose the terms, rates, and loan amounts that he or she finds most suitable. The presence of a dedicated lending expert only adds to the powerful support team Fundera provides for its clients. And the company isn’t just about lending. As more small business owners look to escape the typical office life and strike out on their own, Fundera is constantly expanding the list of small business financial products it offers.